Hey you babes!!! How’s your Wednesday? This morning I shared a story about Savy on Instagram and it’s something you should all read. A little mid week pick me up to be kinder and love on yourself just a little bit more. 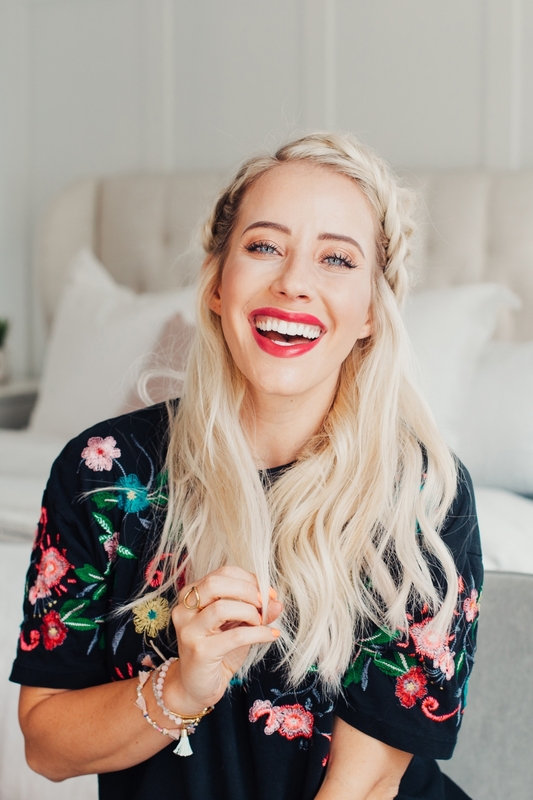 I’ve been getting a few requests on the dutch fishtail braid and usually I can link you up to some old tutorials but right now I’m so uninspired by them haha!! 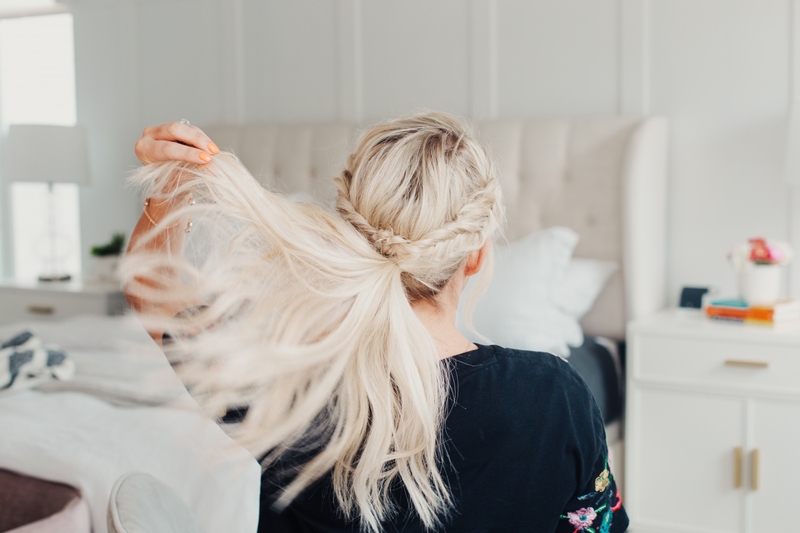 I thought I’d share a new one with you today that hopefully helps you understand how to dutch fishtail braid + three easy ways to wear it. 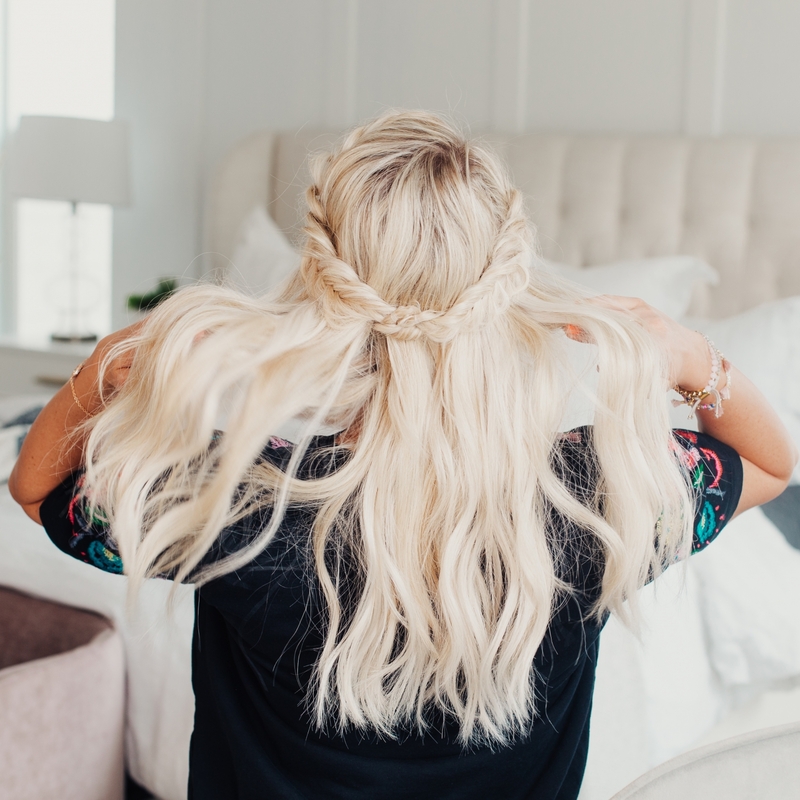 The dutch fishtail braid looks so intricate and while it is a little more time consuming than your average french braid, it’s usually worth it when those compliments start rolling in! 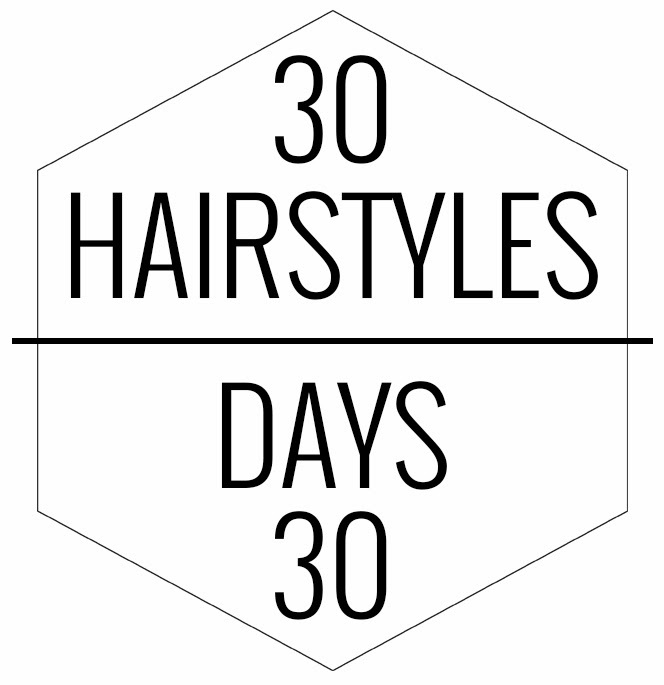 Before we move onto the styles, I wanted to let you know that I’m starting a 30 hairstyles in 30 days challenge the beginning of July!!!! IT’S GOING TO BE AMAZING!!! It’s going to be very different from the challenges I’ve done in the past because I won’t be creating a new video or blog post every day. It’s really designed to help us all get out of that ponytail rut and to become a master at all the braids! 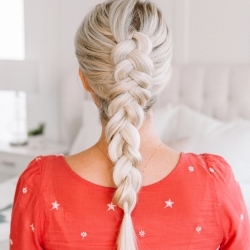 Monday, July 2 I’m going to teach you how to french braid. And then every day throughout the rest of that week we are going to do a different french braided hairstyle that’ll help us practice our skills. We’ll be doing the SAME hairstyles together but there will be a DIFFERENT hairstyle for each day of the week. Does that make sense?! Sign up for my newsletter (HERE or below) and I’ll be soon sending out a master plan of all the styles we’re going to do each day and a hashtag to go along with it!!!!! 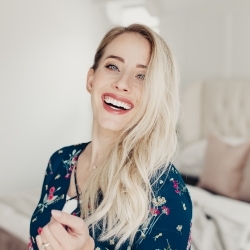 You don’t have to post anything to Instagram if you don’t want to but I’d love a tag in a story of some of the hairstyles you create so that I know people are participating and having fun with the challenge! Subscribe to get HAIR CHALLENGE!!! 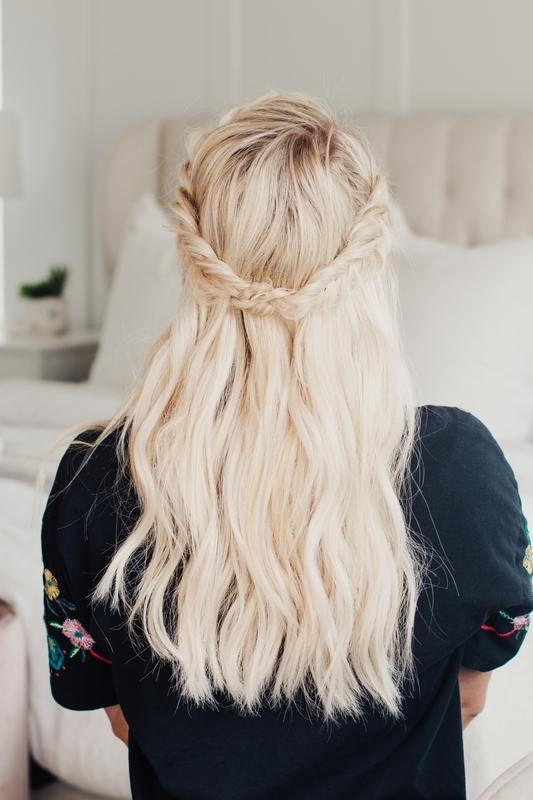 Hairstyle #1 Dutch Fishtail Braid: This is how I typically wear my dutch fishtail braid, it’s super easy, pulls my bangs out of my face but it’s still dramatic and really pretty!!! I’m hiding the braid under a section of hair with a couple bobby pins to hold it in place. 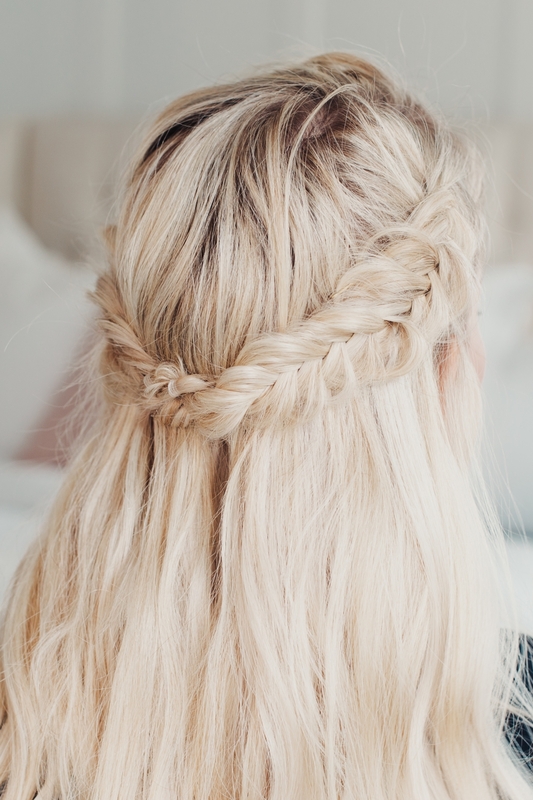 Hairstyle #2 Fishtail Crown: For this style you’re just making another braid on the other side and then knot the two together. 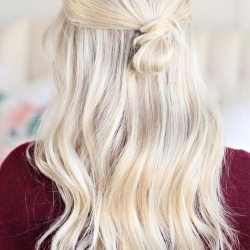 You’ll do two knots and then pin the knots with a bobby pin. 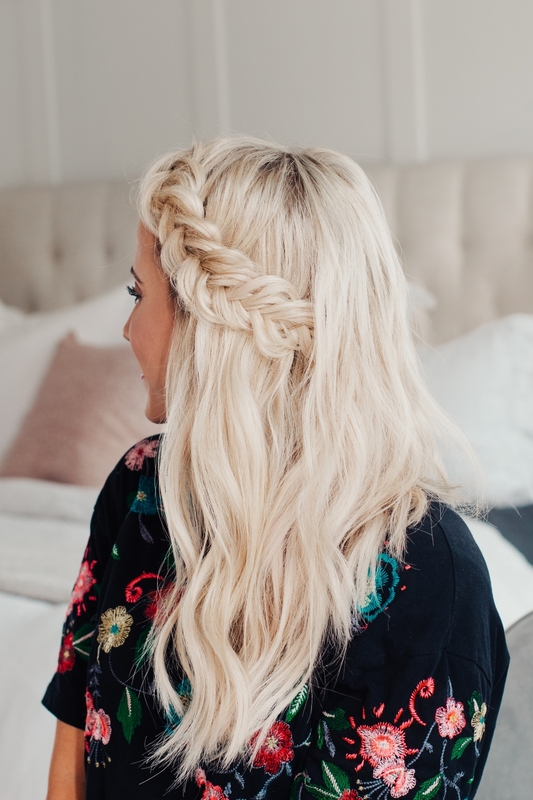 I love this hairstyle SOOOO much! It’s so cute and perfect for summer, I’m all about getting my hair out of my face. Hairstyle #3 Fishtail Crown + Ponytail: And then last but not least, our fishtail ponytail. 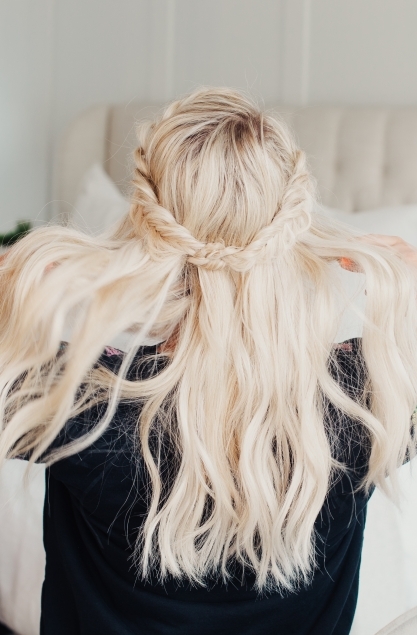 From here all you have to do is pull the curls up into a ponytail and cinch them right underneath the fishtail braids! And that’s it!! 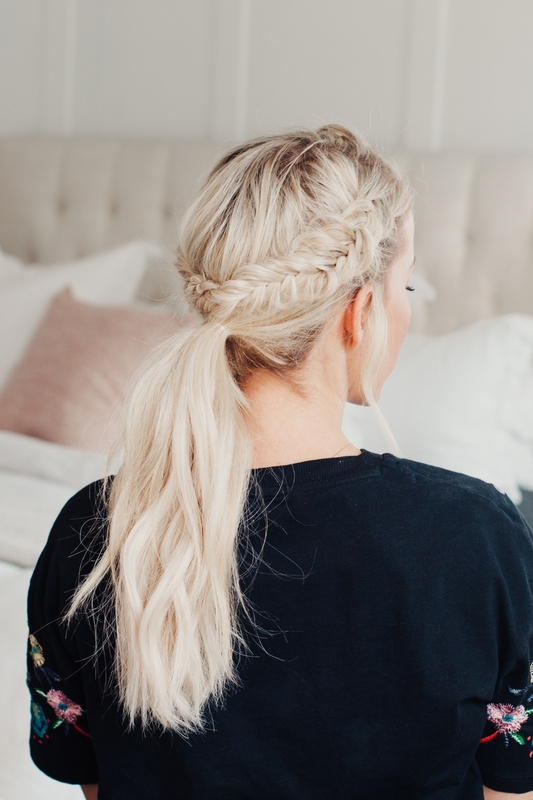 Three super easy and buildable dutch fishtail braids. If you want to see more buildable hairstyles check out this tutorial here or here!! I’m a HUGE fan of styles that can be elevated to whatever my mood is for the day! And I’ll have the opt-in newsletter boxes below. I swear I won’t spam you, just one email at the beginning of the week to share what we’re doing!! LOVE YOU GUYS!